Diamante is the largest open-air museum in Italy and among the largest in the world. The local fish specialties are excellent, such as the well known “rosamarina”, delicious fritters made with “bianchetto”, a very tiny young fish specimens. However, today we are talking about any more delicious fritters of… “green alga” commonly called Sea Lettuce, typical of local cuisine in Diamante. The alga, which has as botanical name Ulva Lactuca, is a sea lettuce, and among the algae is one of the best known species, it is the richest in chlorophyll and is the one that comes closest to terrestrial plants. It is very widespread throughout the Mediterranean, especially the Tyrrhenian side of Mediterranean sea. The structure of this alga is lamellar and bi-stratified, translucent, thin with a maximum height of 30 cm and fixed to a helical shaped peduncle. It grows on substrates of rocky nature, from tidal areas up to a maximum of about 10 meters deep. This kind of Alga in Diamante is a seaweed particularly rich in calcium (30 times more than milk), magnesium and minerals, essential substances for the body. It is a must of Vegan food and a beautiful element for dishes design. The beautiful bright green leaf, although thin, is rather resistant. This makes it versatile in use, being able to be prepared directly raw but also cooked. Sea Lettuce has an intense aroma but an extremely delicate taste. It is suitable for preparing colorful salads, tasty toppings and to garnish any dish. In Diamante, it is the main ingredient for preparing seaweed fritters or the so called sea “zeppole”. 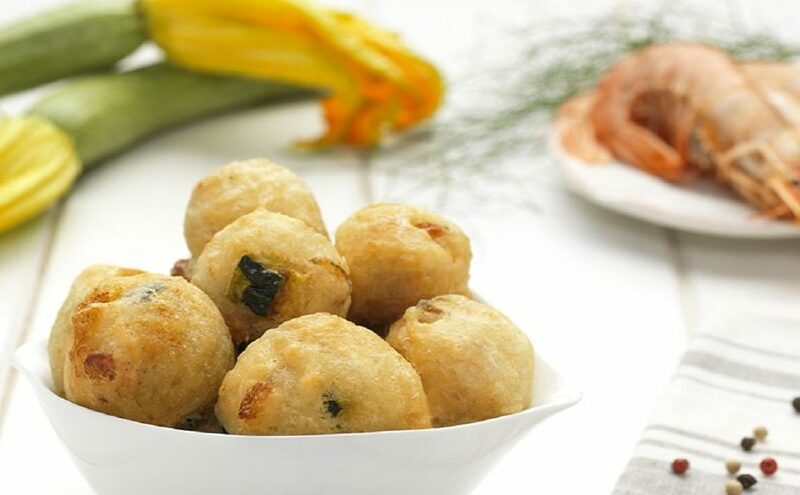 Preparing by means of such zeppole a delicious appetizer or an aperitif is easy, the most common recipe is a kind of small fritter, made with a simple batter based on water, flour and brewer’s yeast, flavored with seaweed, fresh or dried. To the general receipe can be added ingredients, such as paprika, pepper, nutmeg and chives, which give the fritters a more marked color and a stronger flavor. You, of course, can choose to not add such spices: they will be delicious anyway! Pour the lukewarm water into a bowl, add the yeast and mix it until it is completely melted, add the sieved flour and mix with a whisk until you get a rather slow batter. 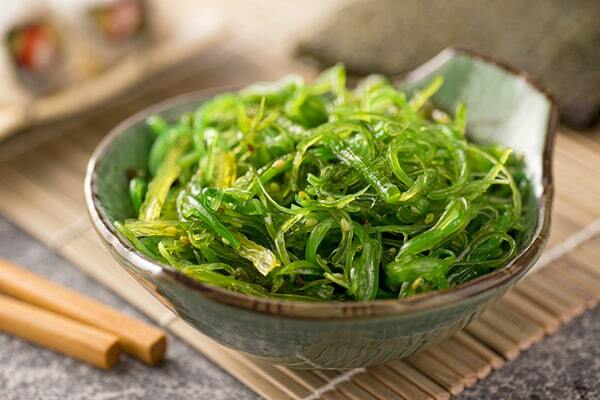 Put the algae (only if you have bought the dried algae) in a bowl with hot water, let them revive for 4-5 minutes, then squeeze and cut them into small pieces. Turning in the alleys of the seaside village, crossing the narrow streets and passing through the wide squares, the art strikes the eyes of the tourists, immediately. Namely, the walls down the streets are covered with fascinating murals, over 150 works of art painted on the walls of the historic center and of the Cirella hamlet, built starting from 1981 by painters and artists of international renown. The largest mural is found in the square in front of the town, it reaches 50 meters and tells the story of the town. As soon as you enter the town, you will come across the Lungomare di Diamante, also called Lungomare nuovo, where you can take a pleasant walk enjoying the view of the Tyrrhenian Sea, while enjoying an ice cream or drinking a fresh granita, or you can stop in the ‘wide beach made of pebbles and pebbles, equipped with several bathing establishments. Continuing towards the old part, you meet the second waterfront, called Lungomare vecchio, or “living room of Diamante”, from here you can observe the whole coast, which in the evening is illuminated by fishermen’s boats with their lamps. In the southern part of the promenade there is then a huge diamond made of stone, symbol of the city. The Beach “of the shark” (so called “spiaggia dello squalo”) is very popular and is located in the heart of the historic center. 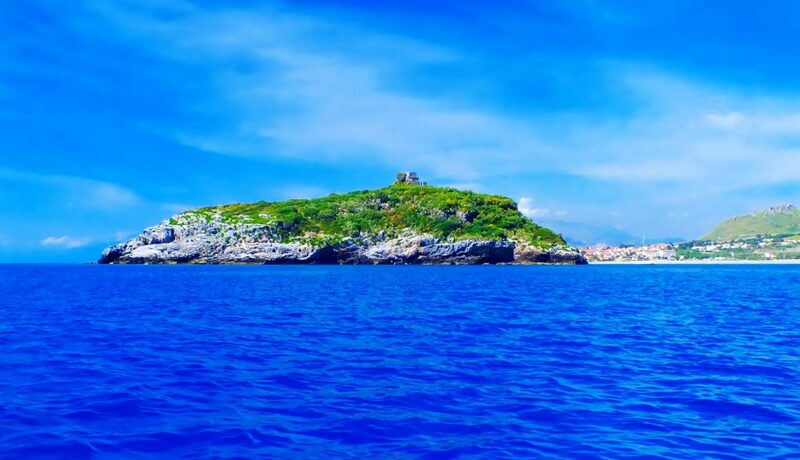 Although it is not very large, it is the most characteristic, as it allows you to enjoy a splendid view of the island called “Cirella” and of the old town, at the same time. Take a walk in the seaside! After so much sea, in a blink of an eye you pass to a green mountain landscape, thanks to La Valva Park, located along the last stretch of the valley where the Corvino river flows. Here it is possible to indulge in long walks, or picnics immersed in the greenery, but also stopping in the tennis courts, volleyball, bowling and soccer fields. The renowned Chili Pepper Academy is also located in the park. 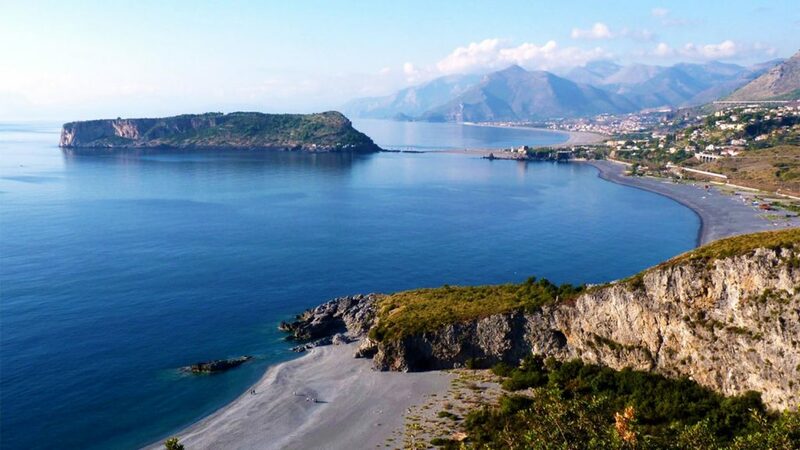 Come in Diamante, Calabria, and the Mediterranean seaside will welcome you, together with its wonderful diet, allowing you to taste that vegan jewel, so called “Zeppole” of Green Alga! There is a product which does not show the sign of time passing by: a bulb made up of layers of purplish-red tunics, oval, long or round, the red (violet) “onion of Tropea”. This everlasting fruit of the land of Calabria is authentic and mediterranean, known of different varieties, including spring onions, early store onions and late harvest onions. Pliny the Elder cited this vegetable in his “Naturalis Historia”, declaring that it was curative as well as more nourishing and tasty. And it is impressive the fact that in that ancient land, Calabria, even if it was invaded by Greeks, Arabs, Franks, this onion survived to these cultural passages. Namely, many historical and bibliographic sources attributed the introduction of the onion to the Phoenicians and later the Greeks. Historians since 1700 and 1800 spoke of red-violet onions of Tropea. Due to its unique sweetness, Tropea onion is the most famous and appreciated onion of Calabria, abroad. It grows, typically, on the cliffs that descend from Mount Poro towards the sea between Cape Vaticano, Zambrone, Tropea and Briatico, in the provinces of Cosenza and Vibo Valentia, but the larger land of this onion is the coastal medium-high Tyrrhenian of Calabria, areas of the provinces of Cosenza, Catanzaro and Vibo Valentia, where the cultivars belong to fresh soils, overlooking the sea, with conditions of humidity, typical of the area of the upper-middle of the Tyrrhenian coast of Calabria. “cipolla fresca”, more red/violet, with a long stem. The fruit is sweet, fleshy and light, with a rather delicate fragrance, so that it is excellent for preparing lots of different dishes. Nowadays, it is essential to so many recipes that they cannot miss such element, for example any Calabrian daily soups, omelettes, jams, salads fresh and sweet delights of summer. Further, Tropea onion can be prepared in several different ways: baked, boiled, for production of delicious onion marmalade, as appetizer and on roasted peppers. The fruit has, anyway, many organoleptic properties, given that it is diuretic and laxative and highly digestible and rich in vitamins. It is so rich in antioxidants and healthy as well as excellent anti-inflammatory, that sometimes we can even forget to remember its unmistakable sweet flavor. 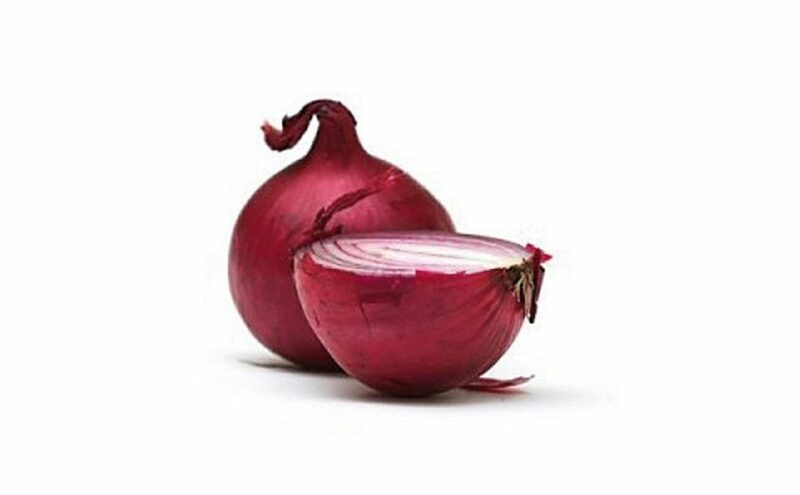 Further, recent studies have again shown that this onion has further hypoglycemic and anticancer properties, in addition to its antiseptic functions, alleviating both cold and flu symptoms. It was evidenced that it strengthens the cells and tone the arteries, lowers blood pressure, and can be used in dermatology.